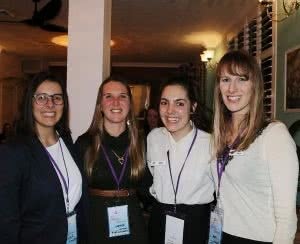 YWCA Canberra is involved in a range of advocacy campaigns throughout the year, to ensure that women’s issues and voices are heard in the community, and by our leaders. Our campaigns include advocacy to both the ACT and Federal Governments, activities on social media, and real world events. To find out about upcoming campaigns, and how you can get involved, you can subscribe to our weekly e-newsletter via the form in our footer or sidebar. You can also subscribe to our new advocacy focused publication, YAction, that shines a light on the advocacy of YWCA Canberra, like-minded organisations, and the issues that are important to our community here. As 2016 was an election year in the ACT, the focus of our advocacy was to call on the next ACT Government to prioritise gender equality, support for children and young people and community inclusion over the coming three years. Underpinned by our election platform, Every woman, every child, every day, our advocacy has involved direct engagement with all sides of politics, as well as promoting the voices of local women to learn their priorities. In 2015, our key campaigns were the Respect NOW campaign, which advocated for respectful relationships programs to be funded in ACT schools to prevent violence against women, advocating for further action to address violence against women during the 16 Days of Activism to End Gender-Based Violence, and participating in Anti-Poverty Week.